The girls are working on the Girl Scouts Care community service badge. Each month the Girl Scouts in Troop #10097 will be collecting items that will help them make a difference in their community. For October and November, the scouts gathered blankets for the RESPONSE Safe House with the RSVP volunteers. They also collected infant and child blankets for The Family Resource Center at Gorham. 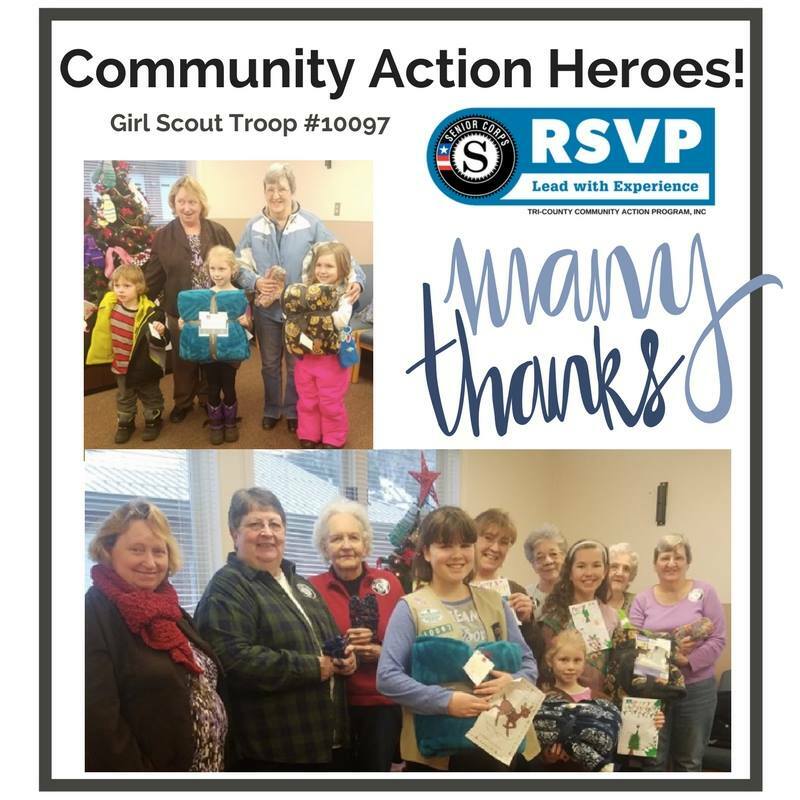 December, Troop #10097 are collecting toys for local children, by selecting names off of The Salvation Army of Berlin, NH Giving tree. In January, they will be organizing a Hat, Mitten and Coat drive and in February, they will be collecting personal hygiene products for organizations that could utilize these items. They are all Girl Scouts with Girl Scout Troop #10097 out of Berlin. It is a multi-level troop, with current members spanning Kindergarten to 6th grade. The Troop is in its second full year and meets every other Tuesday from 5:30 to 7 PM at Harvest Church.